A collaborative and coordinated approach is the key to stopping today’s breaches. 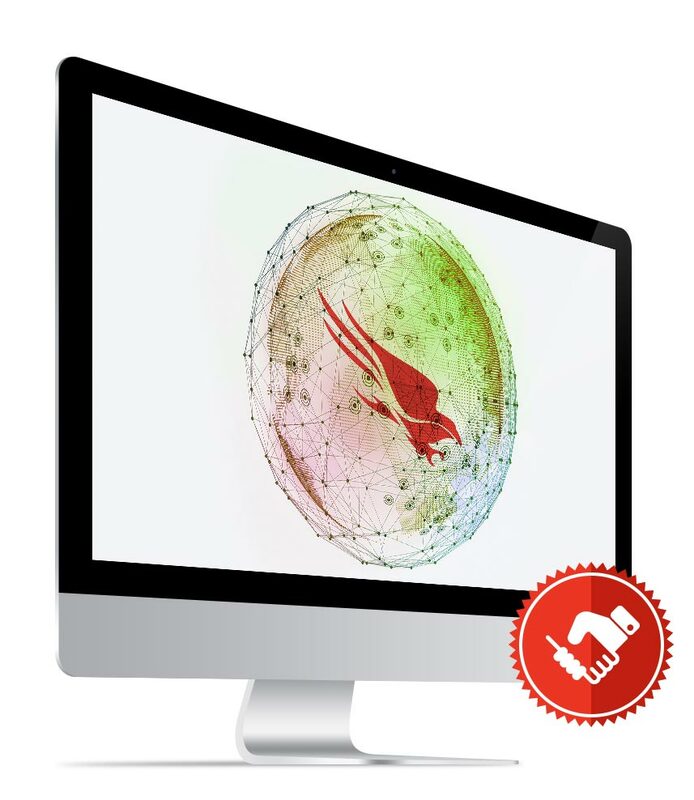 The CrowdStrike Falcon Platform was built from inception to be open and extensible, so our customers and partners can easily expand their solutions to stop breaches in real time. And with the CrowdStrike Orchestration and Automation initiative, partners can further enhance their security offerings and tools to better detect, investigate and respond to security threats, faster and more efficiently. AttackIQ, a leader in the emerging market of continuous security validation, built the industry’s first platform to give enterprises the ability to test and measure the effectiveness of their security capabilities. The open-system FireDrill™ platform, which codifies the the MITRE ATT&CK framework within automated workflows, provides deep insights into how well current security tools, products and processes are working from an adversarial perspective. With its FireDrill™ platform and purpose-built community, AttackIQ is changing the security game. For more information visit www.attackiq.com. E8 Security is transforming security operations by automating the learning of user and device behaviors to discover malicious activity unknown to security analysts, resulting in improved alert quality and accelerated investigations to make security operations more proactive. E8 Security raises the bar, as the first behavioral analytics vendor to make it easier for security teams to quickly identify unknown threat behaviors across endpoints, users and networks. The E8 Security Fusion platform provides a focused view of the network, so that analysts can quickly see hidden threats and know where to spend their time, reducing the investigation time from hours to minutes. In short, E8 Security helps security teams to detect, hunt, and respond by recognizing what is normal in their network so they can quickly respond to what is not. E8 Security is headquartered in Silicon Valley and is funded by Strategic Cyber Ventures, March Capital Partners, Allegis Capital and The Hive. Find out more at www.e8security.com. HPE is a leading provider of security and compliance solutions for the modern enterprise that wants to mitigate risk in their hybrid environment and defend against advanced threats. Based on market leading products from HPE Security ArcSight, HPE Security Fortify, and HPE Security—Data Security, the HPE Security Intelligence Platform uniquely delivers the advance correlation and analytics, application protection, and data security to protect today’s hybrid IT infrastructure from sophisticated cyber threats. Securonix is re-defining the next generation of cyber-threat detection using the power of entity context, machine learning, and big data. Our purpose-built, security analytics platform mines, enriches, analyzes, scores and visualizes data into actionable intelligence on the highest risk threats. Using machine learning techniques that track user, account and system behavior, Securonix detects the most advanced insider threats, cyber threats and fraud attacks in real-time. Globally, customers are using Securonix to address needs around insider threat detection, privileged misuse, cloud security, cyber threat detection, patient data monitoring, fraud detection and application security monitoring. Learn more: www.securonix.com. For 11 years, Amazon Web Services has been the world’s most comprehensive and broadly adopted cloud platform. AWS offers over 90 fully featured services for compute, storage, networking, database, analytics, application services, deployment, management, developer, mobile, Internet of Things (IoT), Artificial Intelligence (AI), security, hybrid, and enterprise applications, from 42 Availability Zones (AZs) across 16 geographic regions in the U.S., Australia, Brazil, Canada, China, Germany, India, Ireland, Japan, Korea, Singapore, and the UK. AWS services are trusted by millions of active customers around the world – including the fastest growing startups, largest enterprises, and leading government agencies – to power their infrastructure, make them more agile, and lower costs. Learn more: https://aws.amazon.com. Dragos is the trusted leader in industrial threat detection and response. Our team applies expert human intelligence in the form of threat behavior analytics and investigation playbooks to redefine industrial control system (ICS) cybersecurity. Dragos’ solutions include: the Dragos Platform, software providing ICS-specific asset discovery, threat detect, and investigation capabilities; Dragos Threat Operations Center, providing ICS security services including threat hunting, incident response, and training; and Dragos ICS WorldView, providing the industry’s only dedicated industrial threat intelligence in the form of weekly reports and critical alerts upon discovery. For more information, please visit www.dragos.com or read about our joint solution here. Vectra® is an artificial intelligence company transforming cybersecurity. Its Cognito platform is the fastest, most efficient way to detect and respond to cyberattacks, reducing security operations workload by 168X. Cognito performs real-time attack hunting by analyzing rich metadata from network traffic, relevant logs and cloud events to detect attacker behaviors within all cloud and data center workloads, and user and IoT devices. Cognito correlates threats, prioritizes hosts based on risk and provides rich context to empower response. Cognito integrates with endpoint, NAC, firewall security to automate containment, and provides a clear starting point for searches within SIEM and forensic tools. Learn more: vectra.ai. Provide your clients threat intelligence and advanced security tools and expertise to defeat adversaries. Leverage CrowdStrike's platform to develop monitored, managed and packaged services. Deliver valuable and innovative security solutions and services that scale fast. Interested in becoming a CrowdStrike Elevate Partner? Contact us for more information.